Ever since the last round of cooling measures on July 6, there has been much speculation about what will happen in the future. Will the Singapore property market crash? Or will prices dip down for a bit and rise back up? Or is the market so resilient that it is actually just a temporary blip? Naturally, just before the cooling measures were announced, everyone was very optimistic about where property prices in Singapore would be heading. Earlier in the year, the CEO of CapitaLand was bullish about prices going up, stating that an increase of 5 to 10 per cent was possible by the end of 2018. 91% of Singaporeans own their own homes — the majority built by the government on government land and sold at government-fixed prices. There were multiple other news sources like the Financial Times and Singapore Business Review also reporting that Singapore prices were heading further up, predicting that overall home prices could rise by 5% in 2018. Not to mention, the headline grabbing “Singapore’s property prices to double by 2030”. It's about to get much more expensive to live in Singapore. So now that it has been some time since the latest cooling measures what is likely going to happen to the market in the future? Are property experts now going to talk about a Singapore property market crash? Or will they still be upbeat about where property price in Singapore will be heading? 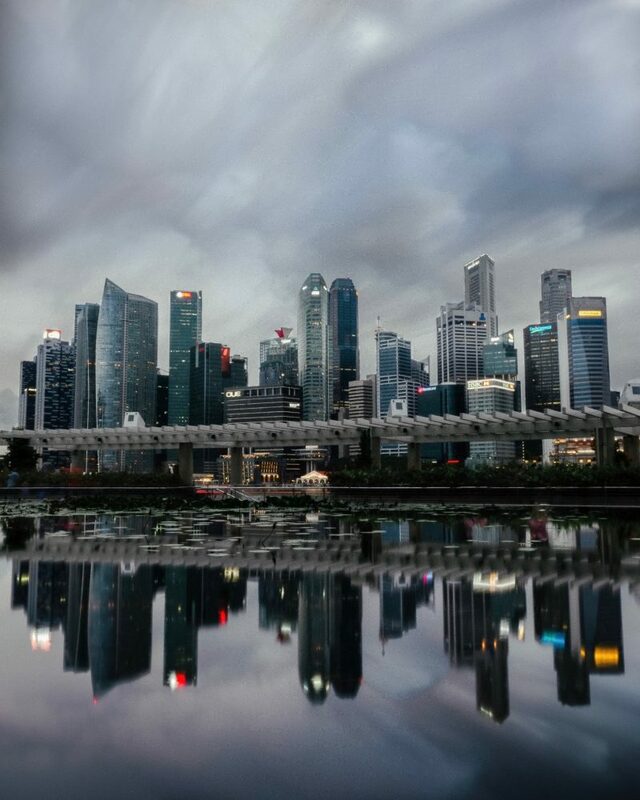 Top executives from some of the biggest developer’s in Singapore are all of the opinion that the latest cooling measures will slow down the market, but that it would be unlikely that it would induce a Singapore property market crash. Of course, some were of the opinion that the cooling measures were not necessary. But those viewpoints should be taken with a pinch of salt, particularly as a buoyant property market will only be in their interest. 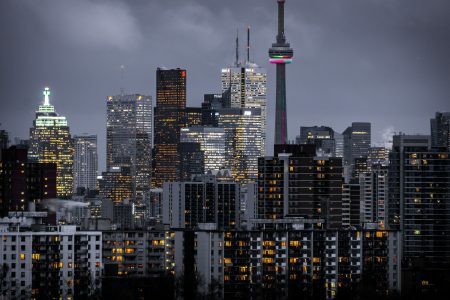 Other sources like Savills reported that despite the cooling measures, they still expect that private home prices will rise by 10 percent to 12 percent in 2018, and a further 5 to 10 percent in 2019. Once thing is for sure, if you base your buying decisions on purely news sources, it could possibly be detrimental. Just look at all the contrasting news reports before and after the cooling measures. All these forecasts so far have proven to be a mixed bag. You can see from history that it is not possible to predict cooling measures in Singapore, whether it be relaxing or tightening them. Neither can anyone predict political changes or external market forces that can have a major impact on property prices in Singapore. So to be clearer about the situation ahead perhaps it would be good to revisit the history of the Singapore property market. HDB formed and 12,000 flats built between 1960-1970. Property Tax introduced. CPF implements Public Housing Schemes for home ownership. Inflow of foreign funds and the beginning of Singapore’s golden years. Property curbs introduced, foreigners not allowed to buy residential properties, tax surcharge w.e.f. 1974. Oil Crisis which afflicted the US economy of which Singapore was very dependant on. The year saw a plunge in Singapore property price and Singaporeans learned how their home prices has everything to do with the US economy. Introduction of Residential Property Act: Foreigners allowed to purchase flats in buildings of 6 levels or higher. CPF implements Residential Properties Scheme for private home ownership which allowed Singaporeans to use up to 80% of their CPF ordinary account savings for property purchase. Property price rose 3 to 4 times eg. HDB flats bought in the 1970s where in the range of $10K but in the 1980s, HDB flats bought in the 1970s were in the range of $10K but in the 1980s, HDB flats typically cost $40K – $100K. CPF implements Minimum Sum Scheme to ensure that Singaporeans have enough CPF for their retirement. Total CPF withdrawal for the purchase of private housing increased to 100% of the value of the property, this made property prices escalate. PRs allowed to buy HDB flats and HDB owners allowed to invest in private property. Gulf War – which saw a small dip in property prices but it did not last long as US declared victory. Property price continued to escalate after that. CPF rules relaxed and home buyers allowed to withdraw larger CPF amounts and HDB flat buyers allowed to take higher mortgages. Property prices soared. Government introduced Executive Condominium which were sold for about 10% less than 99-year lease condominiums. The launches were heavily oversubscribed, typically with 10 applicants to 1 unit. Exemption limit for owner-occupied property increased to the first $150,000 (previously $75,000) of its NAV. Exemption limits on estate duty for residential properties and movable assets, including CPF balances, raised to $9 million and $600,000 respectively. CPF balances in excess of $600,000 will continue to be exempt. Property tax rate from 13% to 12%. Stamp duty adjustment on property transfers, and reduction on stamp duty rates on property leases. Anti-speculation measures implemented. 80% financing restriction for property purchase. Stamp duty extended to buyers of all sales and sub-sales of uncompleted properties. New stamp duty on those who sell properties within years; tax on gains from properties sold within 3 years of purchase. Property price fell for the first time after 10 long years of relentless up trend. Concessionary property tax rate of 4% on the annual value of the residential house for home owners who rebuild their houses for their own subsequent occupation during the period when their houses are undergoing reconstruction. Measures to curb abuse of HDB subsidised mortgage eg. HDB mortgage pegged to bank rate. Asian Financial Crisis. Property price plunged. HDB owners allowed to book a new private property only after occupying flat for 5 years. Government sale sites deferred and project completion period (PCP) extended for up to 8 years. Stamp duty for sellers suspended. Land sales were suspended, 15% property tax rebate for commercial and industrial properties commencing July 1998. Property tax exemption for land under development reinstated, exemption will be for a period of up to 5 years and will apply from the time construction begins to the time the TOP is granted. More tax exemptions granted, stamp duty deferred for buyers of uncompleted properties until TOP or subsequent sale. 10% CPF housing grant cut and more tax rebates. The 55% property tax rebate on industrial and commercial properties was extended by another year to 30 June 2000. Second CPF housing grant cut. Government to resume land sales in 2000. Budget 2000 – Tax exemption on land under development withdrawn, change will only affect new projects. Projects which have been granted tax exemption will continue to enjoy the concession for a maximum of 5 years or upon completion, whichever is earlier. DC rates revised, increased by 27% on average for residential land. Property tax rebate extended up to June 2001, at reduced rate of 25% (from 55%). HDB owners required to seek approval before booking private property even if they have fulfilled the 5-year time bar. MND announced that less than 8,000 new public flats will be built in 2001. Capital gains tax was lifted, foreigners were allowed to use SGD for housing loan. GLS was suspended. Sites would only be made available through the Reserve List. Property tax was exempted for a period of 2 years for land under development. GST increased from 3% to 5% from 1 Jan 2003. CPF minimum sum raised to $80,000 on 1 July 2003 of which $40,000 can be in property. CPF withdrawals for housing limited to 150% of the value of the property and bring the limit down to 120% in equal steps over 5 years. For purchase of ECs, a minimum of 10% of the downpayment will have to be paid in cash, while the remaining 10% can be paid out using CPF funds. Fixed rebate of up to $8,000 per year for all commercial and industrial properties. 30% rebate for the remaining property tax payable, 2 years property tax exemption for all land under development with immediate effect. Stamp duty rates reduced by 30% on all instruments. GLS confirmed list suspension extended to 1H2003. Budget 2003 – Defer restoration of CPF employer contribution rate for 2 years, lower CPF salary ceiling over 2 years. New property tax rebate for commercial and industrial properties for 2H2003. $230 million on SARS Relief Package eg. Additional property tax rebates for commercial properties; higher property tax. Single purpose company requirement for GLS sites lifted. Formation of HDB Corp and announcement on the public housing building programme. Programme would be opened up to the private sector – starting with 10% in July 2006 and reaching 50% in July 2008. Government’s invitation to foreigners to buy land in Sentosa Cove. GLS: No confirmed list in 1H 2005. Budget 2005 – REITs incentives; $40 million Orchard Road Investment Enhancement Plan by STB. Changes to the Residential Property Act – all existing and new QC applicants will be granted project completion period of 6 years from date of QC issuance. Banker’s Guarantee for QC application reduced. Loan-to-Value Limit raised from 80% to 90%. Cash payment for residential properties reduced from 10% to 5%. Non-related singles allowed to use their CPF to jointly buy private residential properties, phase out of the Non-Residential Properties Scheme in July 2006. Restriction on the use of CPF savings for multiple properties. Budget 2006 – Tax incentives to broaden capital markets like tax exemption on foreign-sourced interest and trust distribution received by REITs expansion, lift property tax surcharge. The first public housing project under the Design, Build and Sell Scheme (DBSS) launched for sale. Stamp duty concession withdrawn – all property buyers to pay stamp duty (at up to 3% for properties worth over $360K) within 14 days of the date of acceptance of an Option. Withdraw the deferred payment scheme for the sale of uncompleted private residential and commercial properties with effect from 26 Oct 2007. So since 2009, the Singapore property market crash of 1997 was long forgotten and the number of well to do middle class private property buyers grew and grew. The growth could also be attributed to the rise in foreigners coming into Singapore from about 1.6 million in 2008 to about 2.1 million in 2013. Looking at the Singapore Residential Property Price Index, before the cooling measures, property prices did seem to be heading up to almost the same highs of 2013. So what will be the response after the latest round? In December 2011, Morgan Stanley released a report with a prediction that prices would fall 20 percent by the end of 2012. All these predictions were made after the Government introduced cooling measures then to cool the market, one of which was an additional 10 percent stamp duty on foreigners buying private residential property. This caused foreign purchases to drop 62 percent in 2012. Despite all that, not only did prices not fall, the PPI actually went up in 2012 and then further up in 2013. But as evidenced by the population figures above, this was probably due to the influx of foreigners at that point so if we are trying to draw parallels to that situation in 2013, the conditions are not exactly the same. 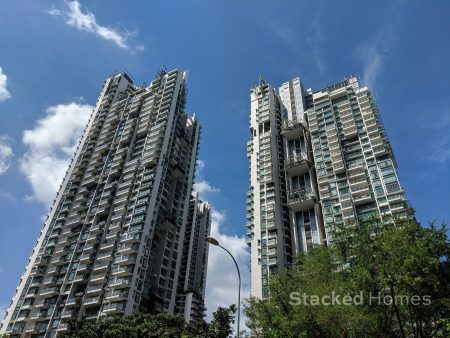 What we can be sure of is that the Government is committed to ensuring that a Singapore property market crash will be unlikely to happen on their end, given that they are keeping such tight reins on the market. Still, the aggressive land bids by foreign developers earlier during the year was a big reason why en bloc prices were going up and up. Vacancy rates are still above 7%, which is a far cry from the days that it used to be at 3 to 4%. It is no wonder that rental demand has been weak. 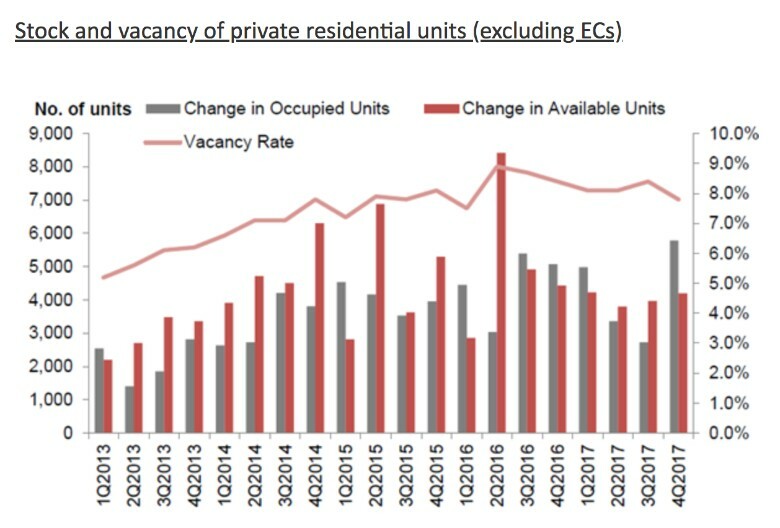 So with foreign developers driving up land costs, a high vacancy rate and tight control over the immigration policies where is the demand going to come from for all the future units going to be released into the market? Unless the Government decides to loosen the strings on immigration, it is tough to see any other way out. With all that said, we will leave you to draw your own conclusion with a note of warning from the MD of the Monetary Authority of Singapore (MAS), Ravi Menon. Stanley loves crunching numbers in excel and analysing them. Naturally, he helps Stacked Homes generate articles based on his analysis as much as he can. 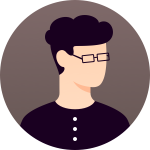 When he's not using Excel, he enjoys watching movies and eating chocolates. Reading: Singapore property market crash – When will the next crash be?